The Japanese Historical Map Collection contains about 2,300 early maps of Japan and the World. The collection was acquired by the University of California from the Mitsui family in 1949, and is housed on the Berkeley campus in the East Asian Library . Represented in this online collection are about 100 maps and books from this Collection. The maps were selected by Yuki Ishimatsu, Head of Japanese Collections at the East Asian Library, and scanned and put online by David Rumsey and Cartography Associates. The project was initiated by Peter Zhou, Director of the East Asian Library. Funding and project management is provided by Cartography Associates and the East Asian Library. The collection can be viewed in three ways - choose a link below: Selected content from the collection is available using a special GIS Browser that allows detailed overlays of historical maps and current geospatial data. Luna Imaging, Inc The GIS Browser was developed by Telemorphic, Inc.
Online images of about 800 historical maps spanning nearly 500 years. Worldwide coverage focusing on Georgia and the surrounding region. The Hargrett Rare Book and Manuscript Library at the University of Georgia maintains a collection of more than 800 historic maps spanning nearly 500 years, from the sixteenth century through the early twentieth century. The collection provides a graphic resource upon which scholars can draw in re-discovering the minds and movements of early American explorers, revolutionary statesmen, cultural figures and politicians represented by the library's book and manuscript collections. Although not limited to a single geographic subject, the collection heavily emphasizes the State of Georgia and the surrounding region. To locate maps of geographic regions or time periods not represented on this web site, please visit one of the sites listed below. As a special service to the mapping community, Maptech is proud to host this collection of historic USGS topographic maps. This ongoing project is headed by historian Christopher Marshall and compiled through the efforts of many individuals. We are honored to be the stewards of this fine collection, making it available to all via the World Wide Web. For a discussion on the evolution of USGS maps, please check out the section on "Historic Topographic Maps". Select "About the Collection" for information on how you can help expand this library. Maps are scanned and processed by volunteers who share an interest in historic maps. Maptech sponsors their efforts by providing free web space for this collection. Of course, those seeking speedy access to current USGS topographic maps should investigate Maptech's Terrain Navigator . Terrain Navigator combines regional collections of USGS topographic maps on CD-ROM with powerful PC navigation software for 2-D and 3-D viewing, customizing, printing and GPS use. Cultural Maps is dedicated to the graphical presentation of non-graphical information whatever that turns out to mean. At present, it has something to do with maps in the ordinary and normal sense of the term; the immediate goal is to build a digital American Historical Atlas. To the extent that maps serve as guides not only to the physical terrain but also and importantly as charts of the mapmaker's mental and cultural terrain, of the memories and desires, anxieties and assumptions he projects upon any terra incognita, we have begun building an historical geography of America. Eventually, this space will come to include graphs, charts, and images, in fact anything that serves as a concrete and physical representation of abstract ideas and intangible feelings. State University of New York at Stony Brook. University Libraries. The Map Collection. Go to Map Collection Home Page. New York State historical maps. By David Yehling Allen. Photographs have been gathered from a number of institutions. List of maps in chronological order. Click on date to view map. List of maps in chronological order. Click on date to view map. 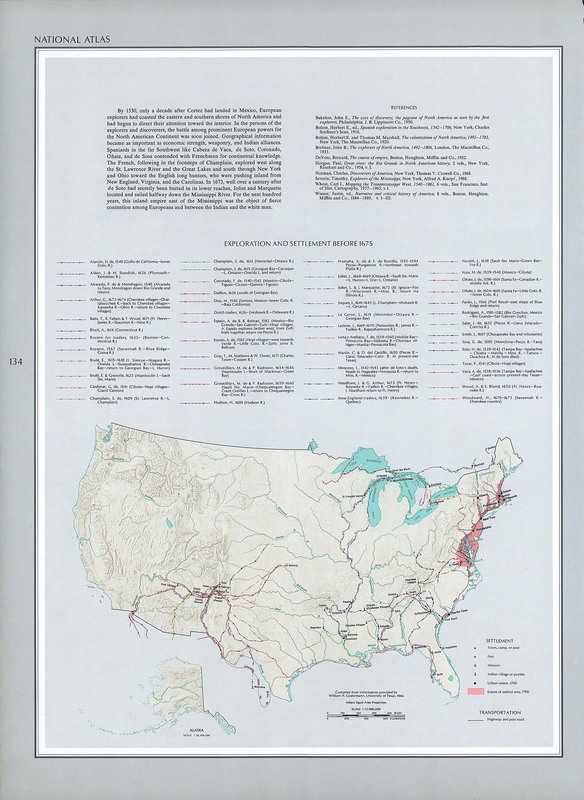 Wyoming state maps depicting the emigrant trails of the late 1800s. Eleven maps prepared by L. C. Bishop available in small to large resolutions. Maps with descriptions and commentary from the 17th through 20th centuries. Welcome to Historical Maps of Pennsylvania, showing images of the region and state from the 16th to the 21st century. Pennsylvania was founded in 1681, after a petition to the King of England from William Penn, and the name does not appear before then. The maps are organized chronologically, with road maps separate, and can be accessed using the links below. A few maps are illustrated here. Enjoy looking at this unique historical record of Pennsylvania. The goal of this site is to provide a map image of Pennsylvania for every year since founded, from 1681 to 2000. That goal has not yet been reached (and may never be), but the site does contain over 500 map images and direction to where others can be found. Also, this site is organized as a Checklist of Pennsylvania Maps to 1750 to provide a useful source tool. A little Pennsylvania history is woven into the descriptions and a list of cited references is included. Maps and commentary are added periodically, so check back if interested. Comments are welcome, especially corrections and additions to the Checklist, and can be sent to the email address below. To contribute a note or article on Pennsylvania maps, see the Articles page. Introduction Checklist References Early County Map List ... Site Outline The map images may take a while to download depending upon the internet connection, so please be patient. If the link to a map is broken, try reloading the page. The quality of the images varies. Small maps and portions of large maps can be scanned and the image is usually good. Large maps must be photographed and the result is not as good, or the scale is small and only the general appearance of the map is seen. This site can be searched using the Google engine below. Offers historical maps, showing countries of the world for every year in recorded history. The Muslim World since 622, $29. Custom Maps can be drawn in a variety of formats, projections, and appearances. Order by Mail if you prefer not to order on-line. You can order many of the Historical Atlases and books used as sources for these historical maps from Amazon.com Contact Us if you can't find what you are looking for or need any assistance. Instead of an Historical Atlas which has maps showing the world (or a region) at a few significant years, or maps that try to compress decades or even centuries of change on to one map, we offer a different approach. Our Interactive Historical Atlases on CD have Historical Maps of the World for every year in recorded history. That is to say there are thousands of historical maps, one for each and every year in History. Our historical maps show an unprecedented amount of detail in time for the whole world that cannot be found anywhere else. Instead of one map that shows the Roman Empire at its greatest extent we have 1000 historical maps where its rise and fall can be traced in detail. 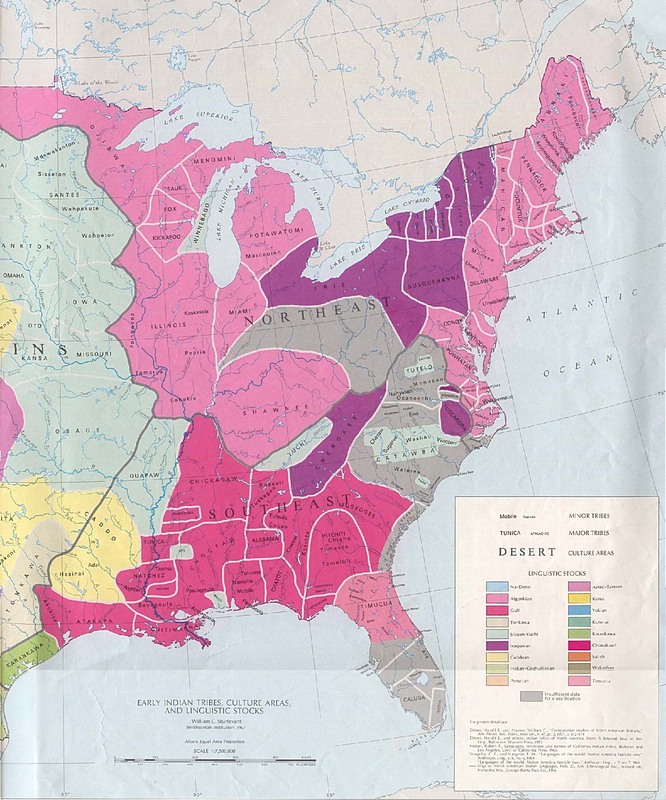 Instead of one map that attempts to show the location of hundreds of Native American peoples over the course of 500 years, we have 500 individual maps where you can trace the emergence and movement of each and every major group year by year. Looking at History in this detail gives a unique perspective on events. 1790 1810 maps of United States, including Revolutionary War battle areas. Historical notes with each map. 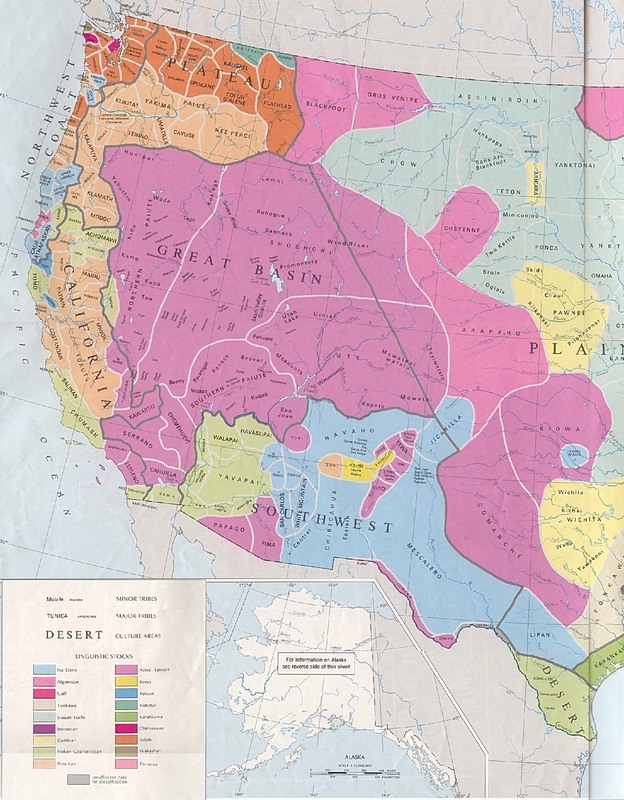 Early Indian Tribes, Culture Areas, and Linguistic Stocks - Western U.S.
PerryCastaÃ±eda Library Map Collection. historical maps. Historical Atlas by William Shepherd. historical maps on Other Web Sites. historical maps the last 300 years of BosniaHerzegovina. Each antique map is illustrated and described in detail. Antique Maps of Bosnia Hercegovina A selection of our historical maps of Bosnia-Hercegovina. Please contact us if you are looking for a particular town or city on these maps or a special map for your collection. Ordering and Payment "Tavola Nvova de Schiavonia" Copper etching from: "Geographia" by Claudio Ptolemy. Originally edited and published by Willibald Pirckheimer. left corner. Text on one side of backside in Italian about the area shown on map. Read the story of the imagery from the Sunday, March 31, 1935 Hartford Courant. This was the first State sponsored survey in the US, and it is the first statewide historical aerial survey available on the Web. Connecticut 70 years ago looked like a garden... so many apple orchards. Who knew? "Environmental GIS Data for Connecticut 2003 Edition," the seven CD set that allows PC users to create, view and print their own digital map of any location in Connecticut is Sold Out . Jacqueline L. Mickiewicz, of the ConnDEP, reports that they will be creating another Environmental CD set this year; however, it will likely be significantly different than the original set. are service marks of GeoPortals.com, Inc. Links to historical maps on Other Sites. 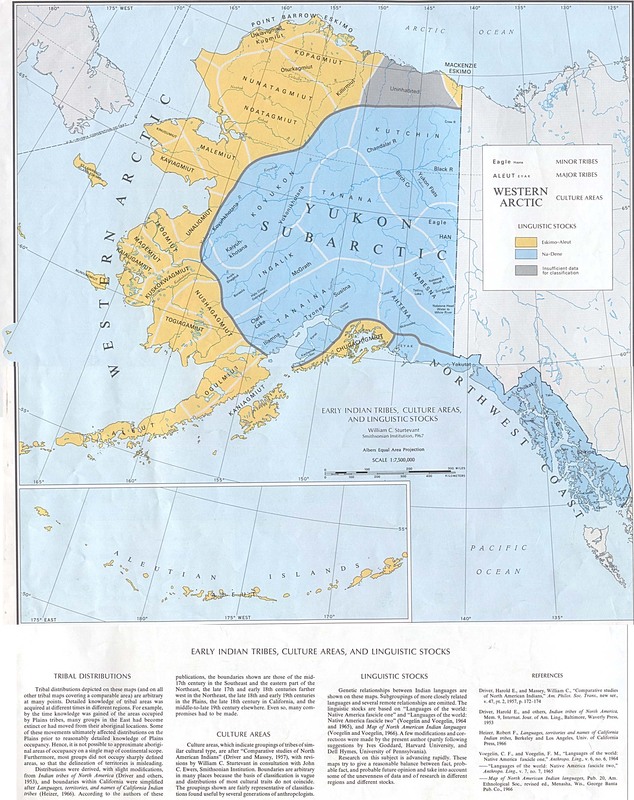 (****); Culture 4.0 historical maps (****; Library of Congress Online Map Collection The place to start for US History. ... and other less related sites that might be of interest. Classification Guide : What do the stars and stuff mean? The Catalogue Pricing Information Contact Us Links To visitors and customers old and new, a warm welcome to our new-look pages. Just click on our Catalogue link above to see what we have to offer. And of course the Village Atlas , our series of enhanced composites of Victorian and Edwardian Ordnance Survey maps, provides a unique and inexpensive research tool for family and local historians.